So we are not down here in the Southern Hemisphere on the right time track for Halloween – you know that America Tradition involving carving pumpkins, dressing up in stripped stockings with pointy hats and rocking around to the neighbour’s saying “Trick or Treat!” This sounds deceptively question-like. Be not fooled. It is a command to surrender sweets – immediately! I have a Halloween Miniscule Moment about Centipede – the Reluctant Halloweener to entice you. Our diligent friend Centipede ends up with a costume as a consequence of disaster more than design. Read on. 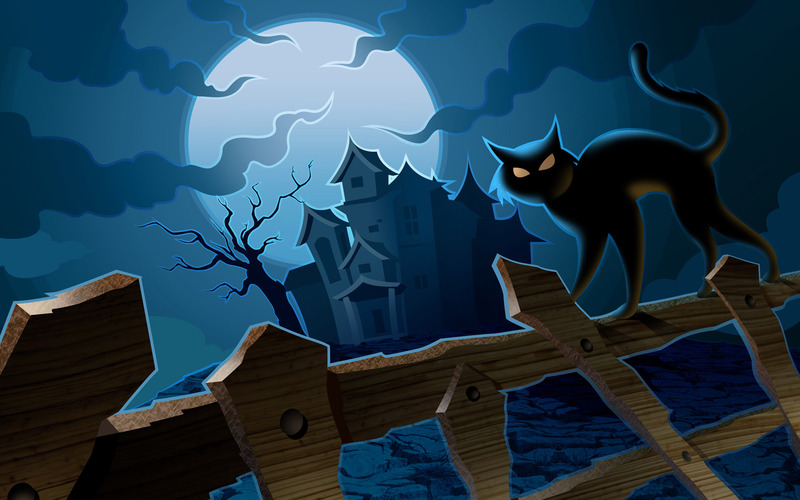 Halloween is traditionally celebrated on the night of October 31. 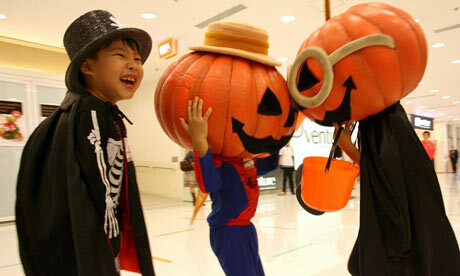 The word Halloween is a shortening of All Hallows’ Evening also known as Hallowe’en or All Hallows’ Eve. Traditional activities that appear to have arrived here in Oz from the US of A include trick-or-treating, bonfires, costume parties, visiting “haunted houses” and carving jack-o-lanterns. Irish and Scottish immigrants carried versions of the tradition to North America in the nineteenth century. Other western countries embraced the holiday in the late twentieth century including Ireland, the United States, Canada, Puerto Rico and the United Kingdom as well as of Australia and New Zealand. Halloween has its origins in the ancient Celtic festival known as Samhain (pronounced “sah-win”). The festival of Samhain is a celebration of the end of the harvest season in Gaelic culture. Samhain was a time used by the ancient pagans to take stock of supplies and prepare for winter which is why Halloween on 31 of October does not make a lot of solar sense down here in Oz. In any case, the ancient Gaels believed that on October 31, the boundaries between the worlds of the living and the dead overlapped and the deceased would come back to life and cause havoc such as sickness or damaged crops. Yet there is no evidence that souling was ever practiced in America, and trick-or-treating may have developed in America independent of any Irish or British antecedent. There is little primary Halloween history documentation of masking or costuming on Halloween in Ireland, the UK, or America before 1900. The earliest known reference to ritual begging on Halloween in English speaking North America occurs in 1911, when a newspaper in Kingston, Ontario, near the border of upstate New York, reported that it was normal for the smaller children to go street guising (see below) on Halloween between 6 and 7 p.m., visiting shops and neighbors to be rewarded with nuts and candies for their rhymes and songs. Another isolated reference appears, place unknown, in 1915, with a third reference in Chicago in 1920. The thousands of Halloween postcards produced between the turn of the 20th century and the 1920s commonly show children but do not depict trick-or-treating. Ruth Edna Kelley, in her 1919 history of the holiday, The Book of Hallowe’en, makes no mention of such a custom in the chapter “Hallowe’en in America.” It does not seem to have become a widespread practice until the 1930s, with the earliest known uses in print of the term “trick or treat” appearing in 1934, and the first use in a national publication occurring in 1939. Thus, although a quarter million Scots-Irish immigrated to America between 1717 and 1770, the Irish Potato Famine brought almost a million immigrants in 1845-1849, and British and Irish immigration to America peaked in the 1880s, ritualized begging on Halloween was virtually unknown in America until generations later. Early national attention to trick-or-treating was given in October 1947 issues of the children’s magazines Jack and Jill and Children’s Activities, and by Halloween episodes of the network radio programs The Baby Snooks Show in 1946 and The Jack Benny Show and The Adventures of Ozzie and Harriet in 1948. The custom had become firmly established in popular culture by 1952, when Walt Disney portrayed it in the cartoon Trick or Treat, Ozzie and Harriet were besieged by trick-or-treaters on an episode of their television show, and UNICEF first conducted a national campaign for children to raise funds for the charity while trick-or-treating. Lastly here is the miniscule moment chronicling Centipede’s exploits as they inadvertently gets him or maybe her-self a costume – in pursuit of cheese. Enjoy!